Another year has come and passed and the dreaded holiday that celebrates those who can manage to support a relationship and alienates those who can’t is upon us. I’m here to tell you, it’s not so bad. For those who fall into the latter category, here are some tips and bits of advice to let that day come and go. Remember one thing, your life is incredibly cheaper when out of a relationship. Cheaper in a monetary sense, but also in a time sense. Your time is yours and your money is spent how you want. When you want to do something, it isn’t up for debate, and you have the excess money to pay for it. You have the ability to work on yourself and not worry about another’s romantic emotions. The other benefit to being single on Valentine’s Day is the fact that you have just joined a large club. This club is filled with other people like you, single and possibly ready to mingle. The ocean is filled with hope and you’ve been given the tools to reel in the right person for you. Also, remember one thing above all else. Love is not defined as being between two people; you are not alone because you have friends and family that love you all the same. Take that normally sorrowful day and make it one of celebration. A happy time for those who may not have romantic love, but more than enough people to call their own. 2013 is a year of new beginnings and fresh starts, make the most of it, and appreciate the present moment. Keep your head up, and love will find you. 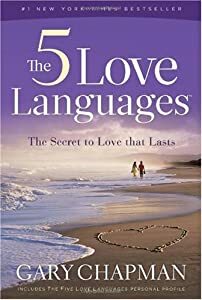 written by Gary Chapman, states that if you donâ€™t understand your partnerâ€™s â€˜love languageâ€™, then their love might go overlooked. By recognizing which love languages a person speaks, your appreciation and love for them can grow. The five love languages are words of affirmation, acts of service, receiving gifts, quality time, and physical touch. Most people use a few of these to express their love for someone. Personally, my love languages are quality time and physical touch. If youâ€™ve met someone who speaks the same love languages as you, youâ€™re lucky. Hold on to that one. The reality is that it doesnâ€™t come that easy for most couples, but if you can understand which love languages your partner expresses, then youâ€™ll be able to recognize when they are trying to show their love for you. Iâ€™ve taken this into account with recent relationships Iâ€™ve had. For example, my boyfriend is not a big fan of physical touch in public, whereas I am. However, Iâ€™ve become OK with that because I know that he speaks a different love language. He uses acts of service to show me he cares, and Iâ€™ve got to say, I think I can give up hand-holding forever if I he continues to cook dinner for me every night. Without knowing what love language your lover speaks, you could discount their love for you. 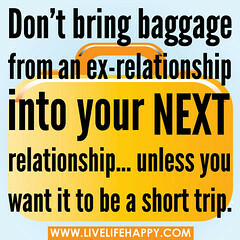 This is part of maintaining a healthy, strong relationship that will withstand the test of time. Many couples have a hard time giving that perfect gift to their significant other. As Valentineâ€™s Day draws near couples everywhere are looking for that memorable gift. But, letâ€™s face it, as college students, money isnâ€™t the most abundant luxury at this point, and it can be a struggle to give something meaningful if you donâ€™t have the money to spend. Here are eight fun and unique ways to celebrate your Valentineâ€™s Day and give a gift that your partner will never forget. 1)Â Â Â Â Â Homemade craft- Not every gift has to be expensive, a lot of what people love most is what comes from the heart. Take some time out and get crafty, showing your significant other just how much they mean to you. 2)Â Â Â Â Â 14 things you love- One of the best things someone can hear is why you love them or why they are special to you. This Valentineâ€™s Day give your significant other the things about them that you love most. Since Valentineâ€™s Day is on Feb. 14 give them 14 reasons why they mean so much to you. Have fun; you donâ€™t have to make it all serious. This is a perfect way to give them a meaningful gift without breaking the bank. 3)Â Â Â Â Â Cook dinner- Everyone has heard the saying, â€˜the way to a manâ€™s heart is through his stomachâ€™, so this Valentineâ€™s Day create a romantic dinner for just the two of you. Light some candles and cook his favorite meal, or for guys looking to impress their girl, change it up and plan a romantic evening for her. 4)Â Â Â Â Â Framed picture- Although it may seem like a small gesture, frame one of your favorite pictures of you and your significant other together. This is something that will be treasured for a long time and shows that you are committed to your relationship. If you canâ€™t pick just one, make a collage to commemorate all of the fun times you have had as a couple. 5)Â Â Â Â Â 14 little presents- If you canâ€™t decide what to get your partner, think about the little things day to day that make them happy. Hide them in places where they can find them throughout the day, and make it simple. It can be their favorite candy, movie, or even a note reminding them of how much you love them. 6)Â Â Â Â Â Trip to the Spa- Guys, if you are looking for that special something for your girl, then get her a day at the spa. With the start of the semester, stress is almost unavoidable, so make sure she has a way to unwind and relax. It doesnâ€™t have to be extravagant, even a manicure or pedicure would be perfect for a relaxing day. 7)Â Â Â Â Â Romantic home date- There is nothing more special than spending time with the one you love, but when you go out that time can get interrupted. For this holiday, plan a night at home. You can make it different themes, like a movie theater night. Get them specialized popcorn holders and all of their favorite toppings. Â Dim the lights and enjoy your favorite films in the comfort of your own home. 8)Â Â Â Â Â Get out of town-Â Plan a time for both of you where you can go out and do your own thing. Give your partner the gift of spending time with you. Go on a winter hike or head up to the slopes. This will give you a romantic getaway that the two of you can enjoy together.